Dawson is the dreamer. He has his head in the clouds. He’s obsessed with the movies. He believes in true love and soul mates. Doesn’t sound that bad, right? Most of you already know that I have lofty ideas of love. Why would it be bad to be the Dawson? No joke. I was obsessed with the show but absolutely couldn’t stand the main character. So, to realize I have taken on many of his traits is concerning. I found him to be self obsessed and immature and down right annoying. Considering the title of the blog, I’m not sure I can escape the self obsession aspects of Dawson Leery. Although, it’s important to distinguish that Dawson’s self obsession made him extremely selfish. He thought of his feelings and ignored all others. I am not like that. Immature? Yeah, sure, in a lot of ways. Annoying? God, I hope not. So what does make me like him? In college, I was once asked to pick a song that described me and I choose “Clark Gable” by the Postal Service. The second reason I’m like Dawson Leery is that I totally and completely believe in love. I believe that it is the most powerful thing on the planet. I believe it knows no boundaries or distance or language or creed. It defies logic entirely. It is powerful medicine to the soul but also is extremely dangerous if gone wrong. This causes most people to be cautious of love. To a certain extent, with my past, as anyone, I’m wary too. I believe in fireworks! I believe in finding something so grand you feel it in your toes! I believe in butterflies and true love and soul mates! 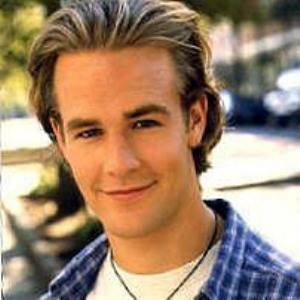 Ugh, I’m a total Dawson Leery. I am just a sap and a dreamer. I may have come to accept this about myself but it makes any rewatching of Dawson’s Creek (my favorite ever) very difficult. Maybe I’ll have to learn to warm to the character who reminds me so much of myself.